Rohde & Schwarz has introduced additional options and increased functionality for its existing ELECKTRA EMC test software. The new test software fully automates electromagnetic interference (EMI) tests. It also covers electromagnetic susceptibility (EMS) to address both product development and certification in line with international standards. Making the most of today’s powerful EMC testing instruments offered by R&S, users can now boost testing efficiency in EMC labs. With its extensive automated execution of EMI tests, R&S ELEKTRA helps lab operators and EMC engineers who work in a wide variety of industries save time and effort in the development and certification of commercial, automotive and A&D products. With software options for conducted and radiated EMS testing in line with commercial standards, ELEKTRA now addresses engineers who test the immunity of electronic products to RF interference. 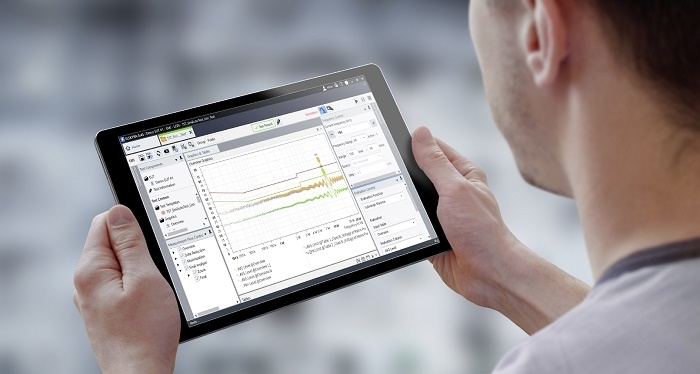 The collection of predefined libraries for common EMC standards and automatic detection of connected instruments enable users to get started testing quickly. The software’s sleek, modern graphic user interface (GUI) is optimized for high-resolution screens and touch operation on handheld devices. It provides instant access to important functions without having to navigate through several windows. A dashboard with favorite items, keyword search, tagging and filtering of key elements ensures that users maintain an overview of their current work. Parallel test execution and preparation of test plans with the new EUT test plan editor boost efficiency. Test plans and results reporting focus on the EUT as the core part of testing and speed up testing. As the industry-leading supplier of EMC T&M equipment and with a leading market share of the EMC test software market, Rohde & Schwarz is cooperating closely with CISPR committees and contributing to EMC standardization updates. Integrating test software into EMC systems optimizes the test experience and delivers time and cost benefits. The R&S ELEKTRA EMC test software is now available. The R&S EMC32 software will continue to be offered and supported by Rohde & Schwarz. The R&S ELEKTRA EMC was officially introduced at the China International Conference & Exhibition on Electromagnetic Compatibility in Shanghai, which took place from October 24 to 26, 2018.